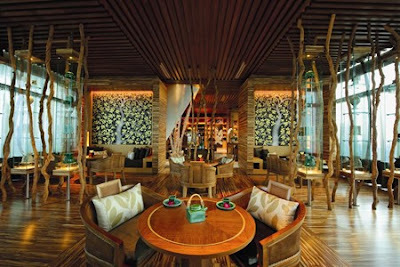 Banyan Tree Spa has opened in late July 2011 in the Marina Bay Sands Hotel in Singapore. 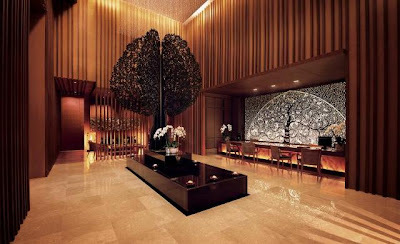 The spa is located in the hotel's 55th floor, therefore it is acknowledged as the highest Banyan Tree Spa. 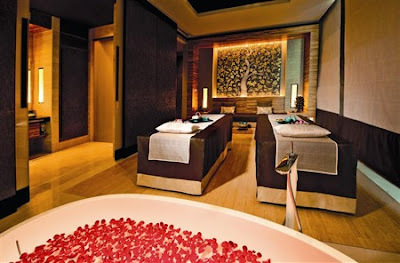 Modern and with the usual traditional Asian inspired design, the theme of the spa revolves around "The Tree of Life" and the importance of preserving and connecting with nature, a cause that the Banyan Tree brand supports. Exclusive to Singapore, all treatment room names are inspired by the orchid, the national flower of Singapore, while the signature treatment , Harmony Banyan, harnesses the power of the orchid. This 180-minute massage session is performed by two therapists and comprises an orchid scrub, Harmony Banyan massage using specially concocted orchid massage oil, head and foot massage, and concludes with a therapeutic orchid bath.